Need a gift for your soulmate? This EXCLUSIVE Poetry Gift is perfect. The sincere poem will let your sweetie know how much they mean to you. Make it an extra special birthday or anniversary keepsake by personalizing this original poetry with names and an optional date. Personalize this gift even more by adding a favorite photo of you and your husband, wife, boyfriend or girlfriend after delivery. < Click on photo to read poem. Perfect personalized gift for your soul mate on his or her birthday or on your anniversary. A thoughtful way to let your spouse, boyfriend or girlfriend know just how crazy you are about them. 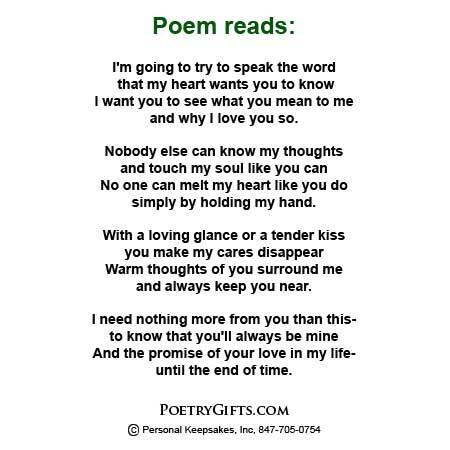 This Poetry Gift will surely become a lasting keepsake that your wife, husband, or better half can display on a table or desk and read over and over again reminding them of your love. 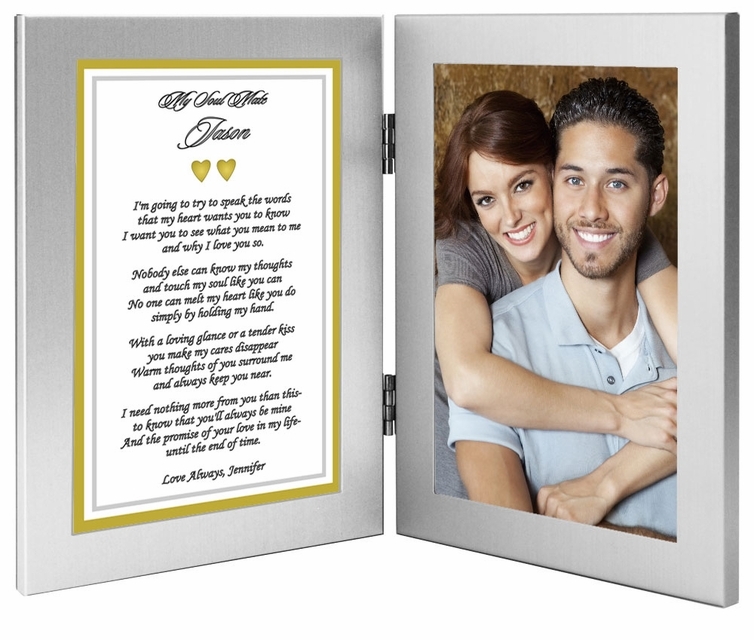 The poem is presented in modern double silver metallic frames. Add 4x6 inch photo to right frame after delivery. Fill out the personalization questions above to order your Poetry Gift. Example of an answer is listed below.